Meet the Teens of CarnEvil. Before They Meet Their Fate. 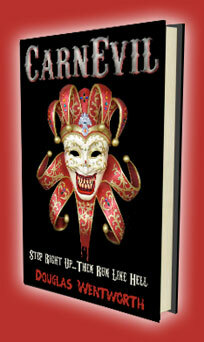 Five joyriding teens – One secluded carnival – And four relentless killers. Teenage brothers, Mark and Doolen, along with friends, Annie, Jack, and Scottie, are out for a night of fun and adventure. While traveling from Maine to Massachusetts, they see the beckoning beams of spotlights, which leads them to a carnival isolated deep in a New England Forest. Upon entering, they find that all of the carnival’s occupants have been brutally tortured and are dead or dying. Sickened and shocked by this revolting discovery, they rush for the exit, but find the gate has been locked…and booby trapped. 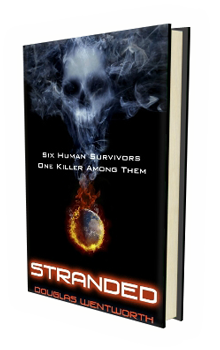 Their predicament worsens once a family of deranged killers, armed with autopsy tools, begins stalking them. The teens realize the killers have one goal in mind: to maim, mutilate, and torture them until they too, become props in this carnival of evil. Spurred on by mind-numbing fear and the will to live, the teens decide to fight back, even though they realize that the price they paid for admission…may be their lives. Doolen – Age 18. Mark’s younger brother. Doolen’s sense of invincibility derives more from a lack of intelligence than anything else. Has the same wry sense of humor as his older brother. Looks up to Mark and sticks by his side…which may prove to be his downfall. Scottie – Age 18. Smart, sensitive. Originally from New York City. Scottie’s new in town and this is his first night riding with his new friends. He falls for Annie at first sight, and as the night wears on, he vows to do everything he can to protect her from the forces of evil. But some forces can’t be beaten. Jack – Age 17. Tall and lean, Jack is like a Golden Retriever, just as loyal but not as smart. He’s desperate to be accepted by the others and, upon the first inkling of danger, is willing to risk his life to save the others. Jack soon learns that, sometimes, being first to fight back is the last thing one ever does. So, take a wild guess. 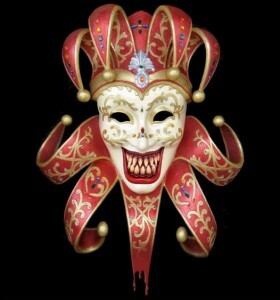 Who will survive the night in CarnEvil? Hint: The novel and screenplay were written concurrently, and though content varies considerably (the novel contains scenes, inner dialogue, and character background that the screenplay does not), the fate of the characters remains the same. But the screenplay does not follow the usual, Hollywood convention. ‘Nuff said.